So here we are after a whole week of pumping and I can say without hesitation that Sarah loves her pump! She seems to have adjusted well to having to wear her insulin pump 24/7 and I can say that we are all enjoying the freedom that it gives her eating wise. When Sarah was getting her needles every day she had a set amount of carbohydrates that she could eat for each meal and snack, but now with the pump there is none of that. She can eat what she wants, when she wants. Oh the freedom! We were a little worried that once she started pumping, she was going to want to binge and not stop eating, but it hasn’t been that way at all. She’s actually been eating roughly the same amount of carbs as before, she just eats them at different times. When she first got started last week and was still getting used to it, at one point she asked me hesitantly at snack-time, “Mom, can I have a yogurt AND a cookie?” And I could answer for the first time in over a year, “YES! Yes, you may have a yogurt AND a cookie for a snack.” It felt so good. 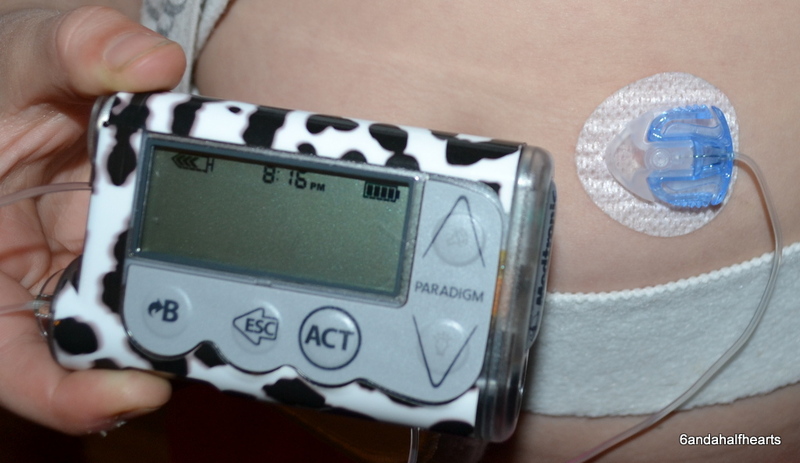 Here is a look at her pump and her insertion site where it plugs into her. The only draw-back is that the site has to be changed every 3 days, but Sarah is a trooper and thanks to new friends of ours, we found an insertion set that is very easy to use and install. 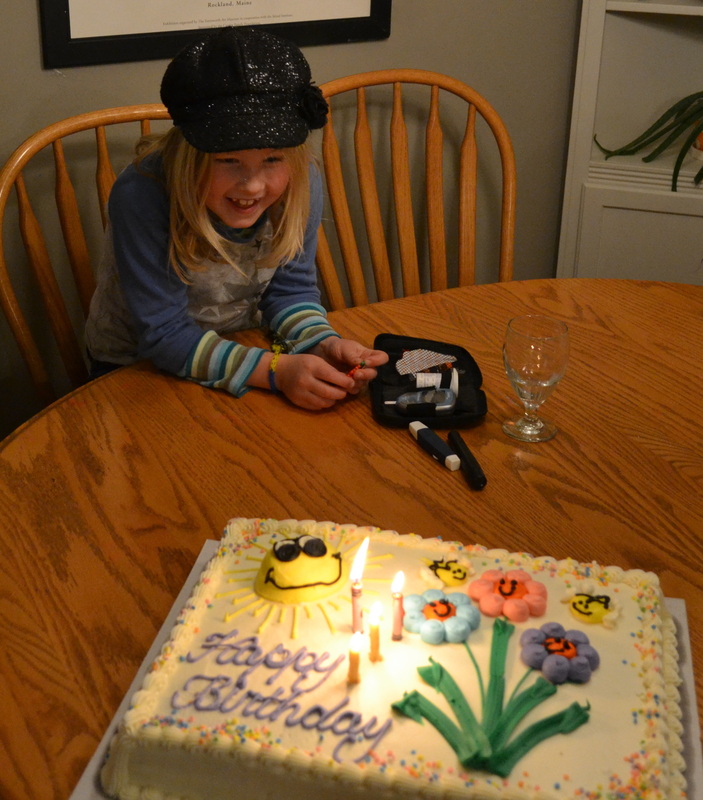 And the pump came just two days after her 7th birthday, I wish it had come a little bit sooner, but we saved her birthday cake for a few days after her birthday to enjoy with grandma and grandpa. Sarah was with me at Costco and picked it out. It was rather large, but she so badly wanted a nice juicy cake that I capitulated and bought it for her. And just look at her face…. Perhaps I’m a little obsessed with birds, but these birdies are really sweet and I like to think of it as bringing a part of Ava into things. I found the pattern here if anyone is interested. And then, as part of her present from us and grandma, we gave Sarah got horse-back riding lessons! She loves horses like many little girls, and after visiting a friends farm with horses a few years ago I knew that she had no fear of them. So through a friend we hooked her up with some lessons. 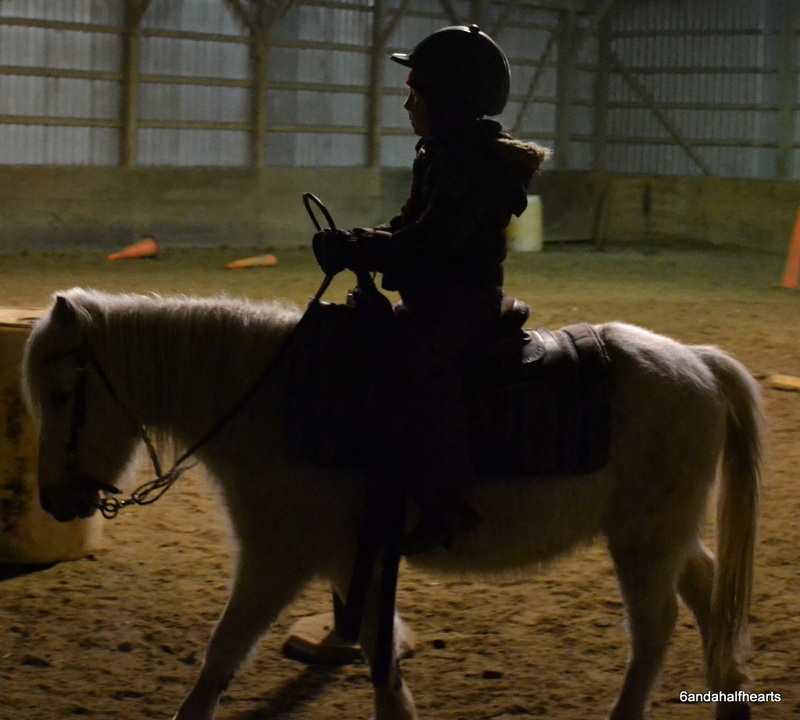 And even though it was cold last night and the barn wasn’t heated, she enjoyed riding “Swiper” and can’t wait to do it again next week. It’s been a busy couple of weeks here with the transition to pumping, but all in all it’s going well. It’s been a bit stressful, just because it’s new, but when we see how happy it’s made Sarah we know we made the right choice.